MDU Rohtak Syllabus 2019-2020 for all semester/branches are available here to download in pdf file. MDU Rohtak Syllabus for branches like CSE, ME, ECE, EE, CE etc. are available here to download in pdf format. All semester syllabus is available here, you don’t have to go anywhere just its a few clicks away and you will easily get the syllabus of your respective branch. Syllabus and Scheme of Examination of M.Ed Course from the session 2015-17. M.A. Sociology 3 & 4 Sem. Master of Lib. and Info. Sc. B.A (Pass Course) Political Sc. B.Tech (Computer Science and Information Technology) 6th to 8th sem. B.Tech (Automobile Engineering) 6th to 8th sem. Supply Syllabi of Cerificate Courses.. Regarding conduct of Practical Exams. at the end of each semester in B.A. (Pass & Hons.) Psychology from the session 2014-15. Change in the syllabi of various Engg. Courses from the session 2014-15. 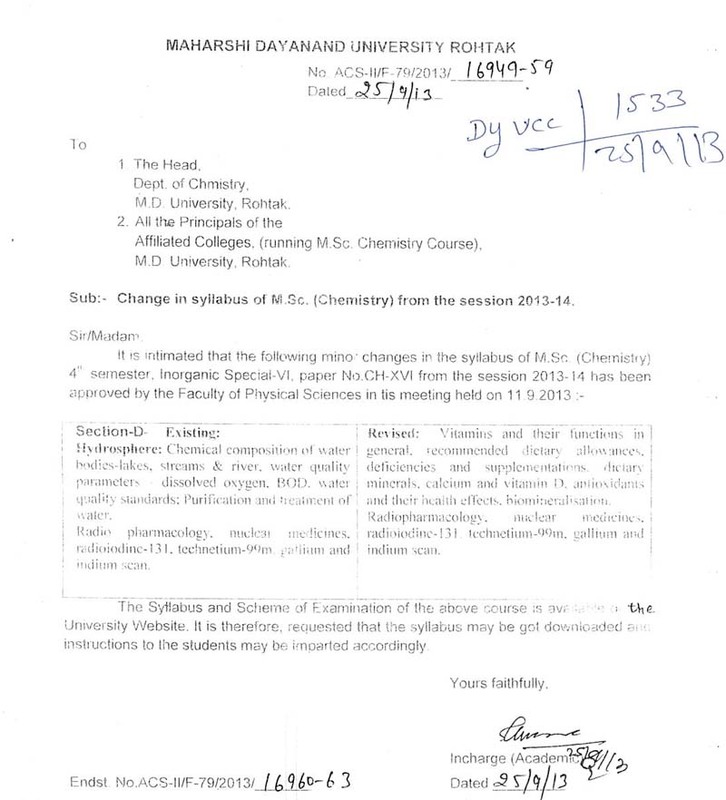 Change in the Syllabi and Schemes of Exams. of Management Courses from the session 2014-15. Rules for Award of Internal Assessment for UG/PG Courses. Syllabus of B.A. I Sem I (English Comp. 2014-15). Syllabus of M.Sc. (Mathematical Statistics) 1st sem w.e.f. 2012-13. Syllabus of M.Sc. (Mathematical Statistics) 2nd sem w.e.f. 2012-13. Syllabus of M.Sc. (Mathematical Statistics) 3rd sem w.e.f. 2012-13. Syllabus of M.Sc. (Mathematical Statistics) 4th sem w.e.f. 2012-13. Syllabus of BA Commerece 1st to 6thSem.